For those who haven’t warmed to the post-Chris Bangle era BMWs, the E46 3-series is regarded as the last truly pretty 3-series. 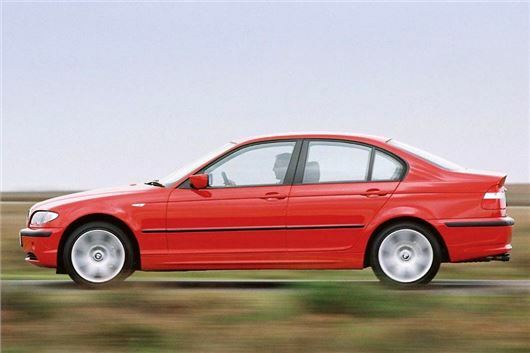 Launched in 1998, the E46 made its debut as a four-door saloon, with Touring estate and two-door coupe and convertible models following in 1999. Whichever version you chose, from the entry-level 316i through to the rip-snorting M3, one thing was guaranteed – you got a car that was incomparably handsome in its class, with a feeling of quality that few others could match. Work on the E46 began in earnest in 1994, with the exterior design coming from BMW’s DesignWorksUSA consultancy in California, which was previously responsible for the Z3 roadster. It was developed quickly – just 31 months from final design sign-off to production launch. It arrived in December 1997 in Germany, and April 1998 in the UK. The design was evolutionary rather than revolutionary – regardless of body style, the E46 was very similar in dimensions to its E36 predecessor, with the two cars sharing a very similar profile. But the bodyshell was reportedly 70% stiffer, while the use of aluminium and light alloy components in the car’s suspension and transmission systems meant it was also significantly lighter – up to 140kg of mass reduction, depending on model. Coupled to BMW’s traditional rear-wheel-drive layout, the new 3-series was a wonderful thing to drive, even in basic four-cylinder form, while moving up to a straight-six brought with it extra refinement and a super-smooth power delivery. In its day, there wasn’t an E46 in the model line-up that failed to deliver. It’s no surprise, then, that the E46 shot straight into the UK’s top 10 sales charts, where it would remain for most of its life. Over 70 per cent of new sales came from fleets, but then the 3-series was a company car par excellence, with an unburstably strong image and plenty of choice for fleet managers and user choosers alike. To own one when new was a delight – great to drive, good to look at and with a real feeling of wellbeing, it was a fabulous car in every right, while later additions to the range, such as the wonderful six-cylinder diesel 330d, which arrived in 1999, and the M54 325i petrol, which replaced the 323 and 328i models in 2001, just made it more desirable. For now, though, the standard E46 is worthy of some love. Most old BMWs traditionally gather a following, and the E46 is already starting to attract one, though the car’s age of anything from 13 to 20 years suggests that the vast majority are currently doing the rounds in the banger doldrums, which is an area of the car market that doesn’t suit BMWs well. Unfortunately, E46s also know how to corrode, especially the Touring models which, in right-hand-drive form, were constructed in South Africa and weren’t given the same level of rustproofing as their European counterparts despite an outward feeling of solidity. Even saloon and two-door variants know how to rust if neglected, though, so carefully inspect the front wings, suspension turrets and rear sill ends, as there are enough good ones still left to avoid having to throw yourself into a costly project. Unless, of course, you’re just after a bit of sub-£500 fun – there’s an argument for that, too, providing you stay away from the accessories shelf at Halfords. Now, then, is the time to scour the classifieds, and seek out the well cared for one or two-owner examples that may have started life as a company car and then passed into family ownership, for they are out there and they do exist. The trick is to get there before the Barry Boys do. If you do, you’re sitting on a sure-fire classic and a very safe investment, whichever engine, trim or body style you choose. Excuse me, but the tourer wasn't assembled in South Africa.. only the four door sedans were assembled there. I worked at the Plant in Pretoria during the E46 production period. BMW was on a bit of a roll back then,having launched the E39 five and the E38 seven.Not quite as well made but getting there.Look for rust arches on the early ones.and the best ones come with few owners,are UNMODIFIED and have a lot of history.Worth getting,before the Wayne and Gary brigade get hold of them. Great looking car made more so by the excessive and Byzantine variety of models currently produced. And please, don't get me started on those even numbered X series.